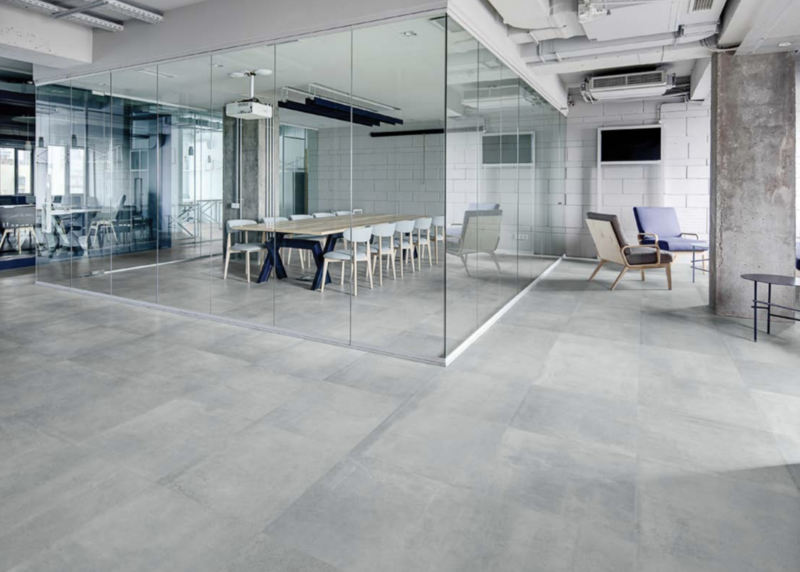 Toronto— Anatolia Tile & Stone has launched its newest porcelain tile collection, Industria, which features a unique concrete look. The large format collection features a design infused with the intricacies of individual aggregate and weathered over time. Using a mold intricately designed, each surface in this line blends a premium color body porcelain with a distinct texture of a worn and used concrete— creating a texture that is both natural in feel like a true worn material but soft to the touch and not abrasive. Designed entirely in-house by the company’s creative team, the palette is delivered in a contemporary range of four colors: zinc (ivory), lithium (light grey), chromium (dark grey) and graphite (black). Natural earthy tones present a palette that aim to marry any eclectic contemporary industrial style. Highlighting the spirit of the line, the graphic variation has a movement that blends light and dark details and shadows across each face. All colors are available in large format sizes including 24 x 48, 32 x 32, 24 x 24 and 12 x 24, all rectified, along with bullnose 3 x 24 and 2 x 2 mosaics. Industria color body rectified porcelain tile is frost resistant, passes DCOF and can be installed in wet areas as well as both interior and exterior applications. A full suite of merchandising displays and catalogs are also available.